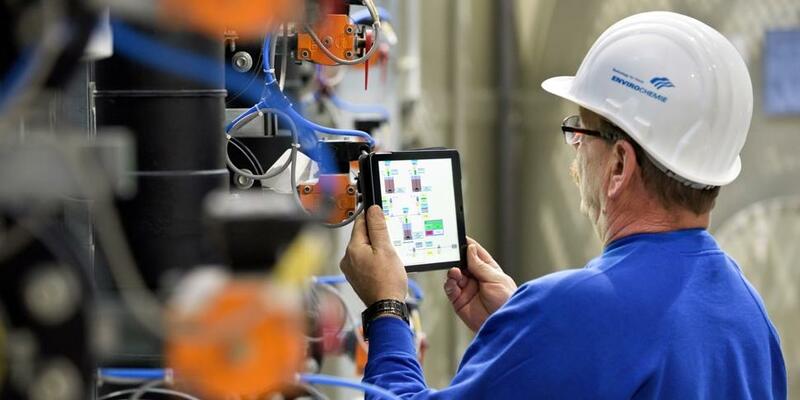 While the networking of the production and process industries is developing rapidly, the degree of digitization in industrial water management has not yet reached a comparable level. The aim of “DynaWater 4.0” is to connect models and cyber-physical systems (CPS), sensor networks, data platforms and components of industrial water management and production on the basis of the concept “IndustrieWasser 4.0”. Fraunhofer FOKUS is developing a communication platform with a practical orientation in order to connect the sensors in the producing plants with the actuators in the water treatment plants. Thus, the wastewater treatment can be fully automated and optimized. To ensure the best possible treatment of the wastewater, a system for analysis is built into the communication platform. The plan is to integrate the platform into a demonstrator to put the system to the test. In addition to Fraunhofer FOKUS, seven other partners are working on the project: DECHEMA Society for Chemical Engineering and Biotechnology, VDEh-Betriebsforschungsinstitut GmbH, Deutsche Edelstahlwerke Specialty Steel GmbH & Co. KG, Institute for Automation and Communication eV, Evonik Technology & Infrastructure GmbH, Technical University Berlin and the EnviroChemie GmbH. The German Federal Ministry of Education and Research (BMBF) supports the upcoming joint project “DynaWater4.0 - Dynamische Wertschöpfungsnetzwerke durch digitale Kollaboration zwischen industriellem Wassermanagement und Produktion” as part of the funding measure “Industrie 4.0 in dynamischen Wertschöpfungsnetzwerken (InKoWe)” over a period of three years with more than 1.5 million Euros.